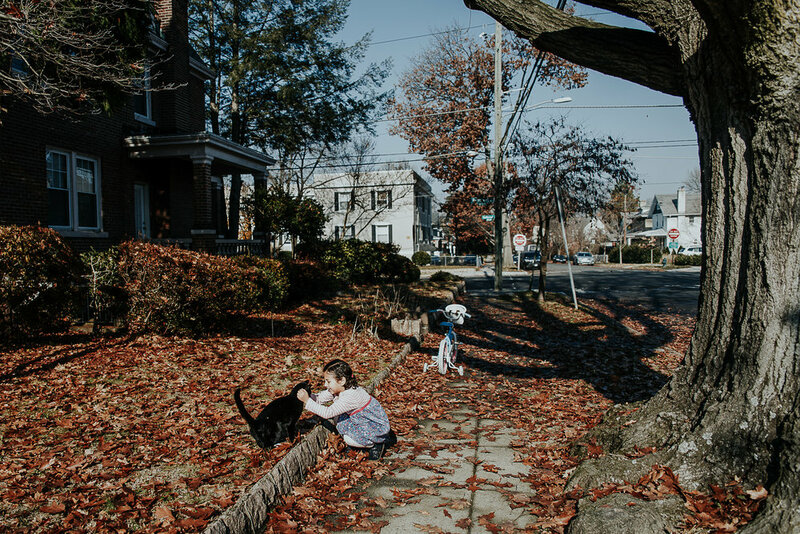 This was one of the most special photo shoots I photographed this fall. 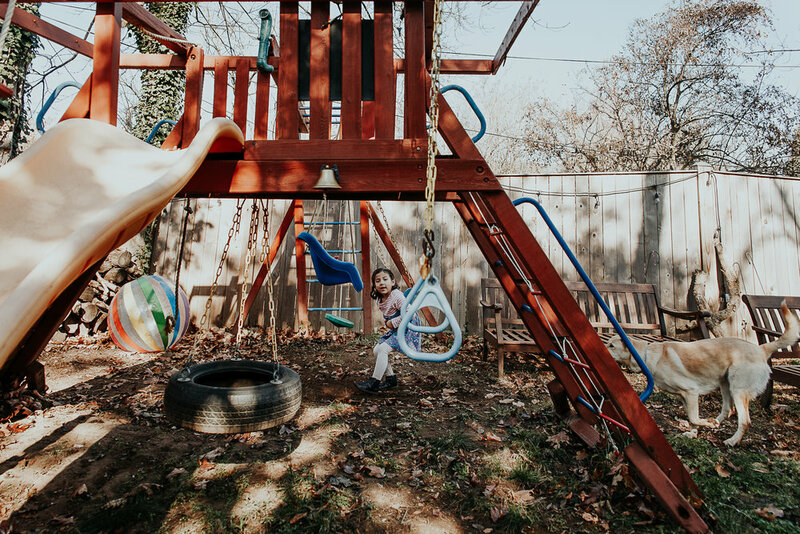 The family contacted me when their parents were in town from Minnesota - while watching their daughter play with her grandparents they realized how precious these moments are and that they'd like to have them captured forever. 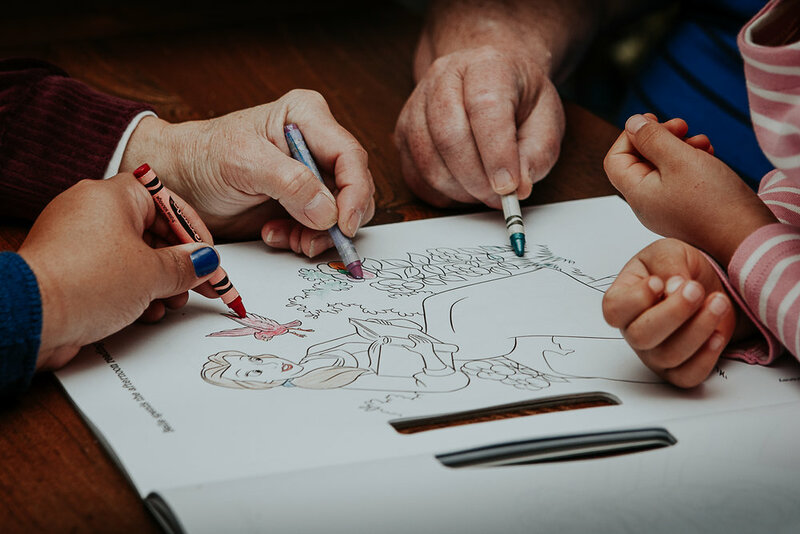 Because of some mobility issues, we decided to spend an hour at the dining room table - reading books, playing chess, and coloring. After that, we played in the backyard for awhile and walked to a nearby historic cemetery. 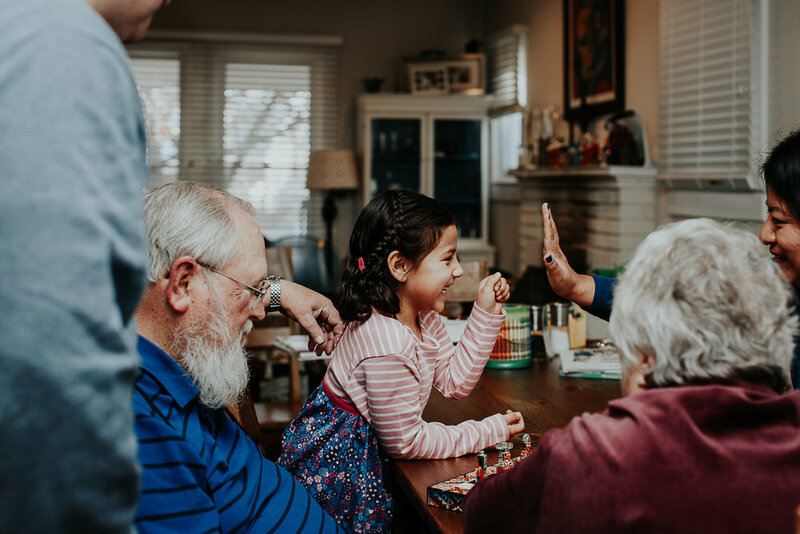 I loved seeing how much fun the three generations had together - this little girl loved everything about her grandparents and I felt so grateful to be able to capture such beautiful, real moments.